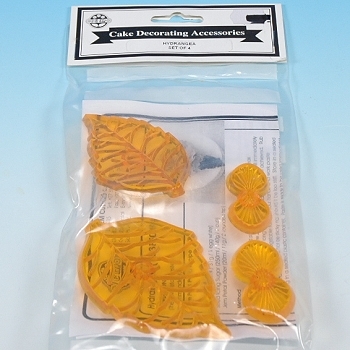 Create beautiful and authentic looking Hydrangea Flowers with this specially designed cutter set. 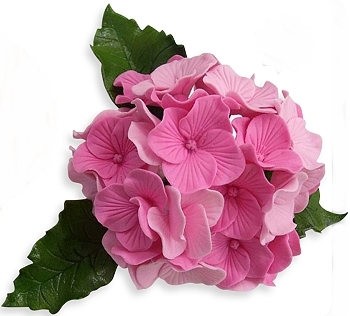 Cutters produce a medium (3/4") and large (7/8") hydrangea blossom petal. 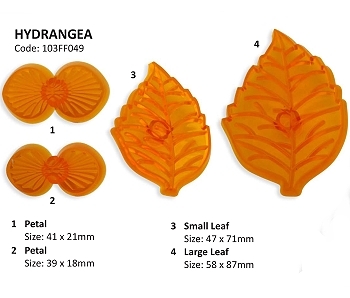 Cutters produce a medium (2 3/4") and large (3 1/2") hydrangea leaf. These blossoms are then layered together to produce an authentic looking Hydrangea flower with an embossed veining pattern.